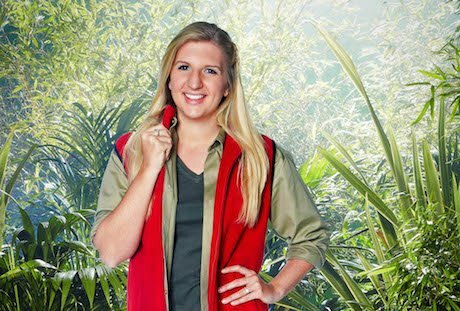 Olympic athlete Rebecca Adlington is heading for the jungle in the new series of I’m A Celebrity Get Me Out Of Here. Missing any special occasions: Thankfully no. Rebecca admits that living in the celebrity jungle is going to be one of the toughest challenges of her life. The 24-year-old – who won two gold medals in the 400m and 800m at the 2008 Beijing Olympic Games plus two bronze in London last year – admits she is worried how she will fare coping with lack of food, boredom levels and snakes crawling under her bed, not to mention the dreaded trials. “This is going to be extremely hard,” she says. “It’s not just one thing. When you watch it on the television and think ‘ah I can do that challenge’, it is actually very tough. People forget it is a package. “The daunting thing for me is the mixture of everything – you are starving, not sleeping very well and trying to cope with the boredom. “Normally with an athlete, you can prepare for everything. You can’t control the race but you can train to the best of your ability. On the question of why she decided to take part in the show? “It’s a once in a lifetime opportunity,” she replies. “It’s a chance for me to do something completely different in my life. “I am also looking forward to being part of a team again. Since I retired, I have missed that team environment and so I am really looking forward to feeling like a big family, enjoying working together and being part of all the banter. When Rebecca was training for her Olympic races, eating plenty of food was a big part of her regime. The bubbly British swimmer readily admits she has already started worrying about the lack of food in camp. “The food is going to be the most difficult thing for me,” says Rebecca. “Eating the same bland food and not having a lot of it will be hard. People will be grumpy and a little bit short when they are hungry.